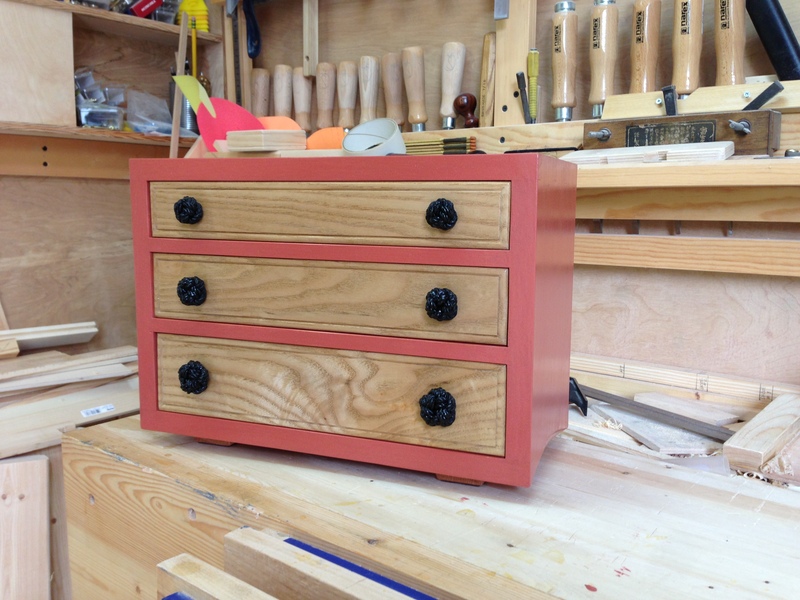 This entry was posted in Design, Illustrating, Mini Three Drawer Chest and tagged knotted pull, milk paint. Bookmark the permalink. I’m not sure I understand what you mean the 15th. He means that he divided the height into 15 equal parts, and then made each drawer and each space between drawers some number of those 15ths. (You’ll notice that if you add the number of 15ths up, it comes to 15.) Furniture designers sometimes express measurements in proportions like this rather than absolute numbers of inches (or centimeters) so you can make the pieces any size you want but still keep the same proportions, which are chosen to make the pieces seem well-balanced. Yep, that is pretty much it Martin. Have a look at my reply to Salko. Martin is spot on. The number is arbitrary. 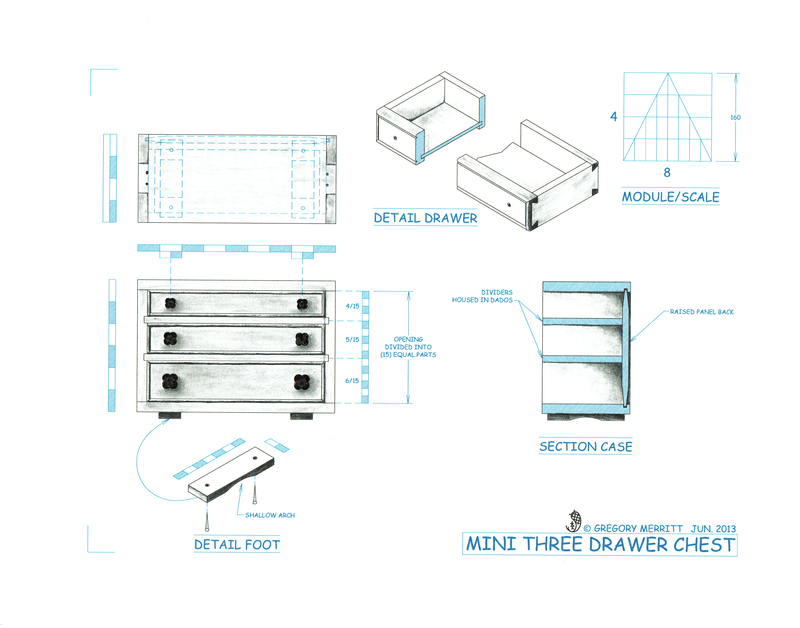 When I set up graduated drawers I like to start with four parts for the smallest drawer and add one part for each successive drawer. So three drawers, 4,5,6 adds up to 15 parts. If four drawers 4,5,6,7 and I need to divide the opening into 22 parts, so on and so on. There are multiple ways of laying out graduated drawers, I settled on this one. It is easy to remember. Well explained Greg. For some reason I didn’t receive any notification through my email of your response. I wonder if everyone else is having the same issue.